February 4, 2015 (Paso Robles, CA) On Friday, February 6 the Paso Robles Wine Country community comes together to recognize Stephan Asseo of L’Aventure winery for his outstanding contributions toward the success of the Paso Robles wine industry. 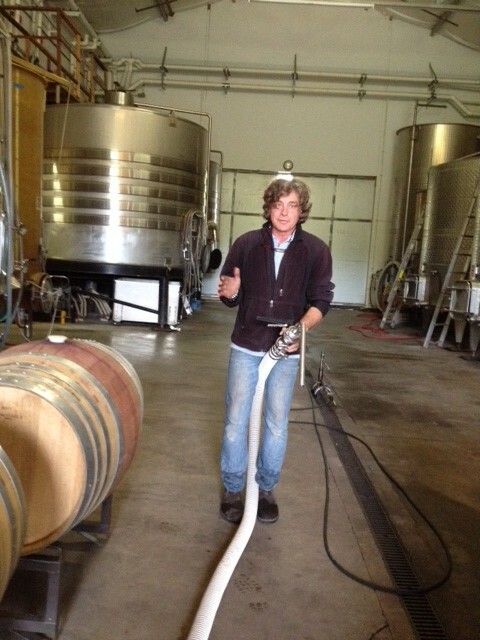 Stephan will be honored as the 2014 Paso Robles Wine Industry Person of the Year at the Paso Robles Wine Country Alliance’s annual winter gala, entitled The Rubber Boot Ball. Stephan Asseo, an accomplished winemaker with 17 vintages in Bordeaux, sought to live his creative dream within a new region in the world and in 1998 founded L’Aventure Winery with his wife Beatrice in Paso Robles. He meticulously selected and planted on a 127-acre property in the western hills of Paso Robles with the vision to create world-class wines of Bordeaux and Rhône varieties. As an experienced vigneron, his farming techniques and philosophies were quickly recognized by the local grape growing community, spurring a renaissance of creative ideas for many of the new vineyards at the time. Asseo’s winemaking has resulted in wines which have earned high scores and critical acclaim, bringing media, trade and consumer attention to Paso Robles Wine Country. Stephan travels the world to promote his wines and in hand promotes the region by referring to L’Aventure wines as his best expression of the Paso Robles terroir. Along with being a well-respected local businessman with donations to local causes, Asseo was awarded as the 2007 San Luis Obispo County Winemaker of the Year, a past board member of the Paso Robles Wine Country Alliance, has the respect and admiration of wine community colleagues, and is a consistent voice in the local industry. The Alliance’s annual gala event hosts more than 180 members of Paso Robles’ wine community with elected officials and representatives from national, state and local offices on hand to commemorate the honor. This year’s themed event will be held at Tooth and Nail Winery on Highway 46 West. The evening also recognizes outgoing Paso Robles Wine Country Alliance board member, John Crossland of Crossland Vineyard.